Samuel Lynn Hynes is an author. He won a Robert F. Kennedy Book Award for The Soldiers' Tale in 1998. Samuel Hynes was born in Chicago. He attended the University of Minnesota and Columbia University. 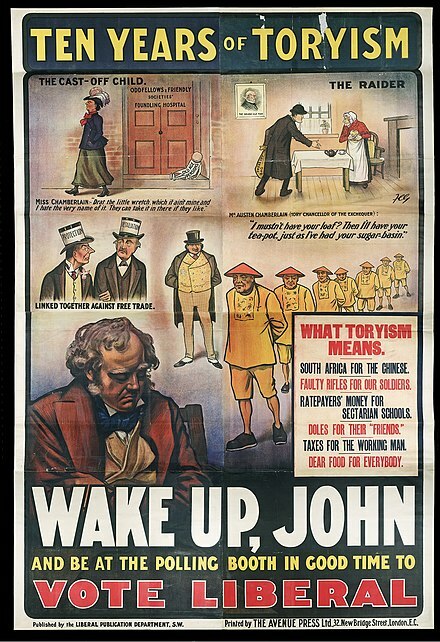 The Liberal welfare reforms (1906–1914) were a series of acts of social legislation passed by the Liberal Party after the 1906 general election. They represent the emergence of the modern welfare state in the United Kingdom. The reforms demonstrate the split that had emerged within liberalism, between emerging social liberalism and classical liberalism, and a change in direction for the Liberal Party from laissez-faire traditional liberalism to a party advocating a larger, more active government protecting the welfare of its citizens. The Edwardian period is sometimes portrayed as a romantic golden age of long summer afternoons and garden parties, basking in a sun that never sets on the British Empire. This perception was created in the 1920s and later by those who remembered the Edwardian age with nostalgia, looking back to their childhoods across the abyss of the Great War. 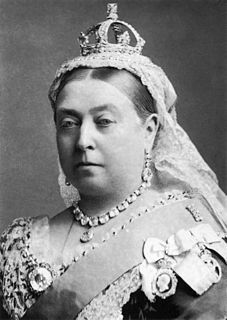 The Edwardian age was also seen as a mediocre period of pleasure between the great achievements of the preceding Victorian age and the catastrophe of the following war. Recent assessments emphasise the great differences between the wealthy and the poor during this period and describe the age as heralding great changes in political and social life. Historian Lawrence James has argued that the leaders felt increasingly threatened by rival powers such as Germany, Russia, and the United States. 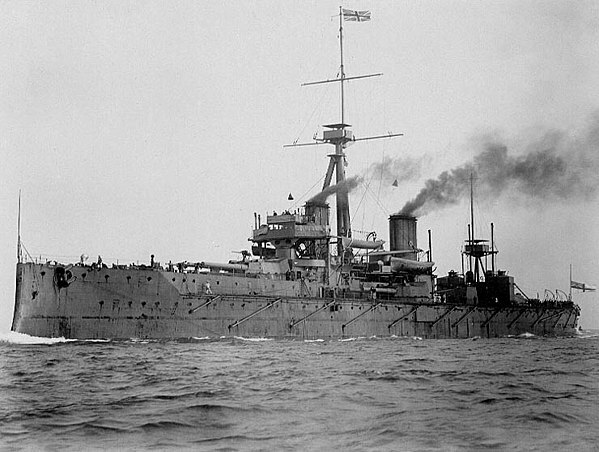 The sudden arrival of world war in summer 1914 was largely unexpected; only the Royal Navy was prepared for war. Edwin James Lawrence, most commonly known as Lawrence James, is an English historian and writer. The labour movement or labor movement consists of two main wings, the trade union movement or labor union movement, also called trade unionism or labor unionism on the one hand, and the political labour movement on the other. Joseph Chamberlain was a British statesman who was first a radical Liberal, then, after opposing home rule for Ireland, a Liberal Unionist, and eventually served as a leading imperialist in coalition with the Conservatives. He split both major British parties in the course of his career. The Liberal Party under Henry Campbell-Bannerman rallied Liberals around the traditional platform of free trade and land reform and led them to the greatest electoral victory in Liberal Party history. The Prime Minister was overshadowed by his frontbench, most notably H. H. Asquith at the Exchequer, Edward Grey at the Foreign Office, Richard Burdon Haldane at the War Office and David Lloyd George at the Board of Trade. Campbell-Bannerman retired in 1908 and was succeeded by Asquith. He stepped up the government's radicalism, especially in the "People's Budget" of 1909 that proposed to fund expanded social welfare programmes with new taxes on land and high incomes. It was blocked by the Conservative-dominated House of Lords, but eventually became law in April 1910. Conservative peers in the House of Lords tried to stop the People's Budget. The Liberals passed the Parliament Act 1911 to sharply reduce the power of the House of Lords to block legislation. The cost was high, however, as the government was required by the king to call two general elections in 1910 to validate its position and ended up frittering away most of its large majority, with the balance of power held by Labour and Irish Parliamentary Party members. By the late-1880s, the Industrial Revolution had created new technologies that changed the way people lived. The growth of industry shifts in manufacturing factories, special-purpose machinery and technological innovations, which led to increased productivity. Gender roles shifted as women made use of the new technology to upgrade their lifestyle and their career opportunities. A cartoon in Punch (1911) compares changes in fashion between 1901 and 1911. "The dowdy voluminous clothes of the earlier date, making the grandmother an old lady and the mother seem plain, had been replaced by much simpler looser wear producing a sense of release for all three females." The 'Tea Gown' was one of the Fashion creations during the Edwardian era and when women starting to stop wearing corsets. More Afternoon and Tea parties were being held and for longer amongst the upper classes, thus the trend of the 'Tea Gown' was created. The Tea Gown was worn to receive guests. The fabric choices are usually sweet pea shades in chiffon, mousse line de sore, tulle with feather boas and lace. Lace was a ‘must-have’ in the Edwardian wardrobe. It represents femininity and wealth. ‘High and boned collars for the day; plugging off shoulder décolleté for the evening’. The Tea Gown's cuttings are relatively loose comparing to the evening gown's. The flow is quite feminine, usually decorated with lace. In which, Irish crochet was the more affordable alternative. Women often wore the tea gown un-corseted in order to create an atmosphere of daring intrigue in the afternoon. Long kid gloves, a flat pancake hat and held laced parasols on hand were always the choice of women's Fashion accessories. Parasols are different than umbrellas. The parasols that were widely use during the Edwardian era are not waterproof, they are made of fabric. It was not designed for functionality, but as a Fashion ornament. Over time, decorative ornaments became heavier, i.e. the hats, sleeves and hem. By the end of the Edwardian era, the hat is bigger in size, with more decorations like feathers and one or more plumes on top. The 2 pieces dress came into vogue. Skirts hung tight at the hips and flared at the hem, creating a trumpet of lily-like shape. From 1905 – 1907, waistlines rose. The Edwardian era corresponds to the French Belle Époque . Despite its brief pre-eminence, the period is characterised by its own unique architectural style, fashion, and lifestyle. Art Nouveau had a particularly strong influence. Artists were influenced by the development of the automobile and electricity, and a greater awareness of human rights. Live performances, both amateur and professional, were popular. Henry Wood, Edward Elgar, Gustav Holst, Arnold Bax, George Butterworth, Ralph Vaughan Williams, and Thomas Beecham were all active. Military and brass bands often played outside in parks during the summer. The new technology of wax cylinders played on phonographs, made live performances permanently available for repetition at any time. By the end of the era, Louis Blériot had crossed the English Channel by air; the largest ship in the world, RMS Olympic, had sailed on its maiden voyage and her larger sister RMS Titanic was under construction; automobiles were common; and the South Pole was reached for the first time by Roald Amundsen's and then Robert Falcon Scott's teams. 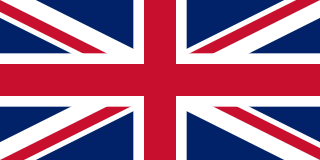 The Act of Union 1800 added the Kingdom of Ireland to create the United Kingdom of Great Britain and Ireland. A reform movement is a type of social movement that aims to bring a social or political system closer to the community's ideal. A reform movement is distinguished from more radical social movements such as revolutionary movements which reject those old ideals in the ideas are often grounded in liberalism, although they may be rooted in socialist or religious concepts. Some rely on personal transformation; others rely on small collectives, such as Mahatma Gandhi's spinning wheel and the self-sustaining village economy, as a mode of social change. Reactionary movements, which can arise against any of these, attempt to put things back the way they were before any successes the new reform movement(s) enjoyed, or to prevent any such successes. The 1900 United Kingdom general election was held between 26 September and 24 October 1900, following the dissolution of Parliament on 25 September. Also referred to as the Khaki Election, it was held at a time when it was widely believed that the Second Boer War had effectively been won. The Conservative Party, led by Lord Salisbury with their Liberal Unionist allies, secured a large majority of 130 seats, despite securing only 5.6% more votes than Henry Campbell-Bannerman's Liberals. This was largely owing to the Conservatives winning 163 seats that were uncontested by others. The Labour Representation Committee, later to become the Labour Party, participated in a general election for the first time. However, it had only been in existence for a few months; as a result, Keir Hardie and Richard Bell were the only LRC Members of Parliament elected in 1900. The National Union of Women's Suffrage Societies (NUWSS), also known as the suffragists was an organisation of women's suffrage societies around the United Kingdom. 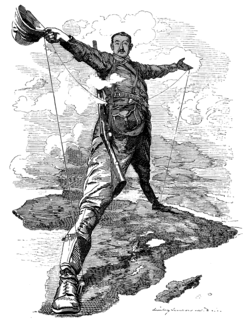 Opposition to the Second Boer War (1899–1902) was a factor in the war. Inside Britain and the British Empire, there was strong opposition to the Boers and a minority in favour of them. Outside the situation was reversed and indeed condemnation of Britain was often intense from many sources, left, right and centre. Inside Britain influential groups, especially based in the opposition Liberal Party formed immediately. They fought ineffectually against the British war policies, which were supported by the Conservative Party of Prime Minister Salisbury. Women's suffrage in the United Kingdom was a movement to fight for women's right to vote. It finally succeeded through two laws in 1918 and 1928. It became a national movement in the Victorian era. Women were not explicitly banned from voting Great Britain until the 1832 Reform Act and the 1835 Municipal Corporations Act. In 1872 the fight for women's suffrage became a national movement with the formation of the National Society for Women's Suffrage and later the more influential National Union of Women's Suffrage Societies (NUWSS). As well as in England, women's suffrage movements in Wales and other parts of the United Kingdom gained momentum. The movements shifted sentiments in favour of woman suffrage by 1906. It was at this point that the militant campaign began with the formation of the Women's Social and Political Union (WSPU). The Education Act 1902, also known as the Balfour Act, was a highly controversial Act of Parliament that set the pattern of elementary education in England and Wales for four decades. It was brought to Parliament by a Conservative government and was supported by the Church of England, opposed many by Nonconformists and the Liberal Party. The Act provided funds for denominational religious instruction in voluntary elementary schools, most of which were owned by the Church of England and the Roman Catholics. It reduced the divide between voluntary schools, which were largely administered by the Church of England, and schools provided and run by elected school boards, and reflected the influence of the Efficiency Movement in Britain. It was extended in 1903 to cover London. 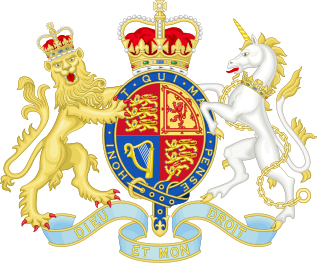 The Liberal government of the United Kingdom of Great Britain and Ireland that began in 1905 and ended in 1915 consisted of two ministries: the first led by Henry Campbell-Bannerman and the final three by H. H. Asquith. The Bow and Bromley by-election was a by-election held on 26 November 1912 for the British House of Commons constituency of Bow and Bromley. It was triggered when the Labour Party Member of Parliament (MP), George Lansbury, accepted the post of Steward of the Chiltern Hundreds as a technical measure enabling him to leave Parliament. A suffragette was a member of militant women's organisations in the early 20th century who, under the banner "Votes for Women", fought for the right to vote in public elections, known as women's suffrage. The term refers in particular to members of the British Women's Social and Political Union (WSPU), a women-only movement founded in 1903 by Emmeline Pankhurst, which engaged in direct action and civil disobedience. In 1906 a reporter writing in the Daily Mail coined the term suffragette for the WSPU, from suffragist, in an attempt to belittle the women advocating women's suffrage. The militants embraced the new name, even adopting it for use as the title of the newspaper published by the WSPU. The Open Christmas Letter was a public message for peace addressed "To the Women of Germany and Austria", signed by a group of 101 British suffragists at the end of 1914 as the first Christmas of the First World War approached. The Open Christmas Letter was written in acknowledgment of the mounting horror of modern war and as a direct response to letters written to American feminist Carrie Chapman Catt, the president of the International Woman Suffrage Alliance (IWSA), by a small group of German women's rights activists. Published in January 1915 in Jus Suffragii, the journal of the IWSA, the Open Christmas Letter was answered two months later by a group of 155 prominent German and Austrian women who were pacifists. The exchange of letters between women of nations at war helped promote the aims of peace, and helped prevent the fracturing of the unity which lay in the common goal they shared, suffrage for women. The Leeds South by-election, 1908 was a parliamentary by-election for the House of Commons constituency of Leeds South in the West Riding of Yorkshire held on 13 February 1908. Emma Jane Catherine Cobden, known as Jane Cobden, was a British Liberal politician who was active in many radical causes. A daughter of the Victorian reformer and statesman Richard Cobden, she was an early proponent of women's rights, and in 1889 was one of two women elected to the inaugural London County Council. Her election was controversial; legal challenges to her eligibility hampered and eventually prevented her from serving as a councillor. History of women in the United Kingdom covers the social, cultural and political roles of women in Britain over the last two millennia. Interwar Britain (1918–1939) was a period of peace and relative economic stagnation. In politics the Liberal Party collapsed and the Labour Party became the main challenger to the dominant Conservative Party throughout the period. The Great Depression impacted Britain less severely economically and politically than other major nations, although there were severe pockets of long-term unemployment and hardship, especially in mining districts and in Scotland and North West England. Great Britain entered World War I on 4 August 1914 when the king declared war after the expiration of an ultimatum to Germany. the official explanation focused on protecting Belgian neutrality. The main reason, however, was to prevent a French defeat that would have left Germany in control of Western Europe. 1 2 Roy Hattersley, The Edwardians (2004). ↑ J. B. Priestley The Edwardians (1970), pp. 55–56, 288–290. ↑ Battiscombe, Georgina (1969). 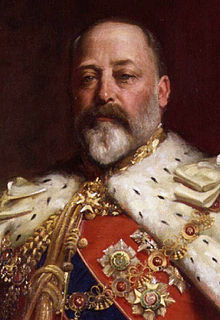 Queen Alexandra. London: Constable. p. 217. ISBN 978-0-09-456560-9. ↑ David Brooks, The age of upheaval: Edwardian politics, 1899–1914 (Manchester University Press, 1995). ↑ Jon Lawrence, "Class and gender in the making of urban Toryism, 1880–1914." English Historical Review 108.428 (1993): 629–652. ↑ Matthew Roberts, "Popular Conservatism in Britain, 1832–1914." Parliamentary History 26.3 (2007): 387–410. ↑ Marc Brodie, "Voting in the Victorian and Edwardian East End of London." Parliamentary History 23.2 (2004): 225–248. ↑ Kathryn Rix, "'Go Out into the Highways and the Hedges': The Diary of Michael Sykes, Conservative Political Lecturer, 1895 and 1907–8." Parliamentary History 20#2 (2001): 209–231. ↑ David Dutton, "Unionist Politics and the aftermath of the General Election of 1906: A Reassessment." Historical Journal 22#4 (1979): 861–876. ↑ Andrew S. Thompson, "Tariff reform: an imperial strategy, 1903–1913." Historical Journal 40#4 (1997): 1033–1054. ↑ Ian Packer, "The great Liberal landslide: the 1906 General Election in perspective." Historian 89#1 (2006): 8–16. ↑ John W. Auld, "The Liberal Pro-Boers." Journal of British Studies 14#2 (1975): 78–101. ↑ Nabil M. Kaylani, "Liberal Politics and British-Foreign-Office 1906-1912-Overview." International Review of History and Political Science 12.3 (1975): 17–48. ↑ R. C. K. Ensor, England 1870–1914 (1936) pp 384–420. ↑ G.R. Searle, A new England? 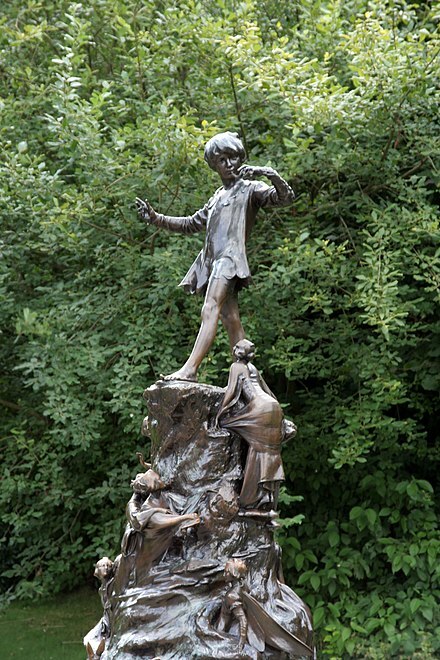 : peace and war, 1886–1918 (2004), pp 185–87. ↑ Michael Childs, "Labour Grows Up: The Electoral System, Political Generations, and British Politics 1890–1929." Twentieth Century British History 6#2 (1995): 123–144. ↑ G.R. Searle, A new England? : peace and war, 1886–1918 (Oxford UP, 20040 pp 275–307. ↑ Chris Wrigley (2002). Winston Churchill: A Biographical Companion. p. 311. ISBN 9780874369908. ↑ Helen Irving, To Constitute a Nation: A Cultural History of Australia's Constitution (1999). ↑ Rosemary Rees (2003). Britain, 1890–1939. p. 42. ISBN 9780435327576. ↑ Ian Packer, Liberal government and politics, 1905–15 (Palgrave Macmillan, 2006). ↑ Sheila Blackburn, "Ideology and social policy: the origins of the Trade Boards Act." The Historical Journal 34#1 (1991): 43–64. ↑ Samuel R. Williamson Jr., "German Perceptions of the Triple Entente after 1911: Their Mounting Apprehensions Reconsidered" Foreign Policy Analysis 7#2 (2011): 205-214. ↑ H.W. Koch, "The Anglo‐German Alliance Negotiations: Missed Opportunity or Myth?." History 54#182 (1969): 378-392. ↑ G.P. Gooch, Before the war: studies in diplomacy (1936), pp 87-186. ↑ Strachan, Hew (2005). The First World War. ISBN 9781101153413. ↑ Gerd Krumeich, "The War Imagined: 1890–1914." in John Horne, ed. A Companion to World War I (2012) pp 1-18. ↑ Matthew S. Seligmann, "Failing to Prepare for the Great War? The Absence of Grand Strategy in British War Planning before 1914" War in History (2017) 24#4 414-37. ↑ Clive H. Lee, "Regional inequalities in infant mortality in Britain, 1861–1971: patterns and hypotheses." Population Studies 45.1 (1991): 55–65. ↑ J. M. Winter, "Aspects of the impact of the First World War on infant mortality in Britain." Journal of European Economic History 11.3 (1982): 713. ↑ Margaret Beetham, A magazine of her own? : domesticity and desire in the woman's magazine, 1800–1914 (Routledge, 2003). ↑ Guerriero R. Wilson, "Women's work in offices and the preservation of men's 'breadwinning'jobs in early twentieth-century Glasgow." Women's History Review 10#3 (2001): 463–482. ↑ Carol Dyhouse, Girls growing up in late-Victorian and Edwardian England (Routledge, 2012). ↑ Cartriona M. Parratt, "Athletic 'Womanhood': Exploring sources for female sport in Victorian and Edwardian England." Journal of Sport History 16#2 (1989): 140–157. ↑ Roger Ottewill, "'Skilful and Industrious': Women and Congregationalism in Edwardian Hampshire 1901–1914." Family & Community History 19#1 (2016): 50-62. ↑ Martin Pugh, Women's suffrage in Britain, 1867–1928 (1980). ↑ June Purvis, "Gendering the Historiography of the Suffragette Movement in Edwardian Britain: some reflections." Women's History Review 22#4 (2013): 576-590. ↑ Martin Roberts (2001). Britain, 1846-1964: The Challenge of Change. Oxford UP. p. 8. ISBN 9780199133734. ↑ Jane Marcus, Suffrage and the Pankhursts (2013). ↑ England, Historic. "The Struggle for Suffrage | Historic England". historicengland.org.uk. Retrieved 2017-10-03. 1 2 3 Knight, Patricia (1977). "Women and Abortion in Victorian and Edwardian England". History Workshop. 4: 57–68. doi:10.1093/hwj/4.1.57. PMID 11610301. 1 2 Thane, Pat (1978). "Women and the Poor Law in Victorian and Edwardian England". History Workshop. 6 (6): 29–51. doi:10.1093/hwj/6.1.29. JSTOR 4288190. ↑ Benson, John (2007). "One Man and His Woman: Domestic Service in Edwardian England". Labour History Review. 72 (3): 203–214. doi:10.1179/174581607X264793. ↑ Donald Read, Edwardian England 1901-15: society and politics (1972) pp 257-58. ↑ Marilyn Constanzo, "'One Can't Shake Off the Women': Images of Sport and Gender in Punch, 1901–10." The International journal of the history of sport 19#1 (2002): 31–56. ↑ Sarah Cosbey, Mary Lynn Damhorst, and Jane Farrell-Beck. "Diversity of daytime clothing styles as a reflection of women's social role ambivalence from 1873 through 1912." Clothing and Textiles Research Journal 21#3 (2003): 101–119. ↑ Marwick, Arthur (1991). The Deluge. British Society and the First World War (Second ed.). Basingstoke: Macmillan. p. 151. ISBN 978-0-333-54846-2. ↑ J., Stevenson, N. (2012) . Fashion : a visual history from regency & romance to retro & revolution : a complete illustrated chronology of fashion from the 1800s to the present day (1st U.S. ed.). New York: St. Martin's Griffin. ISBN 9780312624453. OCLC 740627215. ↑ 1899-1975., Laver, James (2002). Costume and fashion : a concise history. De La Haye, Amy., Tucker, Andrew (Fashion journalist) (4th ed.). New York: Thames & Hudson. ISBN 978-0500203484. OCLC 50081013. ↑ Ann Beth Presley, "Fifty years of change: Societal attitudes and women's fashions, 1900–1950." Historian 60#2 (1998): 307–324. ↑ Sarah Edwards, "'Clad in Robes of Virgin White': The Sexual Politics of the 'Lingerie'Dress in Novel and Film Versions of The Go-Between." Adaptation 5#1 (2012): 18–34. ↑ Alison Gernsheim (1963). Victorian & Edwardian Fashion: A Photographic Survey. Courier Corporation. p. 94. ISBN 978-0-486-24205-7. ↑ R.C.K. Ensor, England, 1870-1914 (1936) pp 309-16. ↑ Lord Beaverbrook, Politicians and the War, 1914–1916 (1928) 1:93. ↑ J. Lee Thompson, "Fleet Street Colossus: The Rise and Fall of Northcliffe, 1896–1922." Parliamentary History 25.1 (2006): 115-138. ↑ P. P. Catterall and Colin Seymour-Ure, "Northcliffe, Viscount." in John Ramsden, ed. The Oxford Companion to Twentieth-Century British Politics (2002) p. 475. ↑ Priestley, J. B. (1970). The Edwardians. London: Heinemann. pp. 176–178. ISBN 978-0-434-60332-9. ↑ J. B. Priestley The Edwardians (1970), pp. 132–139. ↑ J. B. Priestley The Edwardians (1970), pp. 172–176. ↑ David Littlefield, "White City: The Art of Erasure and Forgetting the Olympic Games." Architectural Design 82#1 (2012): 70–77. ↑ Vanessa Toulmin and Simon Popple, eds., The Lost World of Mitchell and Kenyon: Edwardian Britain on Film (2008). ↑ see for example "The Lost World Of Mitchell And Kenyon – Episode 1 – 4/6"
↑ Tony Mason, "'Our Stephen and our Harold': Edwardian footballers as local heroes." The International Journal of the History of Sport 13#1 (1996): 71–85. Dangerfield, George. The Strange Death of Liberal England (1935) online free to borrow; Classic account of how the Liberal Party ruined itself in dealing with the House of Lords, woman suffrage, the Irish question, and labour unions, 1906-1914. Dyhouse, Carol. Girls growing up in late Victorian and Edwardian England (Routledge, 2012). Ensor, R. C. K. England 1870–1914 (1936), scholarly survey. Field, Clive D. "'The Faith Society'? Quantifying Religious Belonging in Edwardian Britain, 1901–1914." Journal of Religious History 37.1 (2013): 39–63. Halévy, Elie. History of the English People, 1905–1914 (1934), 686pp. Hearnshaw, F. J. C., ed. Edwardian England AD 1901–1910 (1933) online 294pp; 10 essays by scholars. Horrall, Andrew. Popular culture in London c. 1890–1918: The transformation of entertainment (Manchester UP, 2001). Hughes, Michael. "Archbishop Davidson, the 'Edwardian Crisis,' and the Defense of the National Church." Journal of Church and State 57#2 (2015): 217–242. Marriott, J.A.R. Modern England, 1885-1945 (1948) pp 169–358. online political narrative. Meacham, Standish. A life apart: The English working class, 1890–1914 (Harvard UP, 1977), scholarly social history. Nowell-Smith, Simon, ed. Edwardian England, 1901–14 (1964), 620pp; 15 wide-ranging essays by scholars. Ottewill, Roger Martin. "Faith and good works: congregationalism in Edwardian Hampshire 1901–1914" (PhD. Diss. University of Birmingham, 2015) online. Bibliography pp 389–417. Read, Donald. Edwardian England (1972) 288pp; survey by scholar. Russell, A. K. Liberal landslide : the general election of 1906 (1973). Searle, G. R. A new England? : peace and war, 1886–1918 (Oxford University Press, 2004), wide-ranging survey, 952 pp. Sutherland, Gillian. "Self-education, class and gender in Edwardian Britain: women in lower middle class families." Oxford Review of Education 41#4 (2015): 518–533.